A lot of wedding photographers have discovered that there is money to be made in education. Newcomers to the wedding industry want to learn as much as they can to jump start their own journey, so the demand is definitely there. Don’t get me wrong… I am all for education. I invested in it when I was new to the industry and I still invest in it to this day. I just got back from an incredible workshop with Rebecca Yale in LA this January and I’m headed to Connecticut for an advanced lighting workshop with Justin + Mary later this month… education is an on-going investment for me + my business, so I know it is valuable! Additionally, I actually started offering one-on-one coaching sessions, workshops, and styled shoots myself – so I’m not knocking those who offer education at all. Sharing what we know makes our industry stronger… but only if the people sharing that information are legitimate. Something I’m seeing A LOT of lately are inexperienced photographers offering education. And I have a big problem with this. If someone is going to offer business education to others, I believe that they should have reached a certain point in their own business. They should have certain credentials that qualify them to teach others. I just don’t think it’s fair for someone who has been in business for a year or so to suggest that they are well qualified to teach others about how to build a successful business. 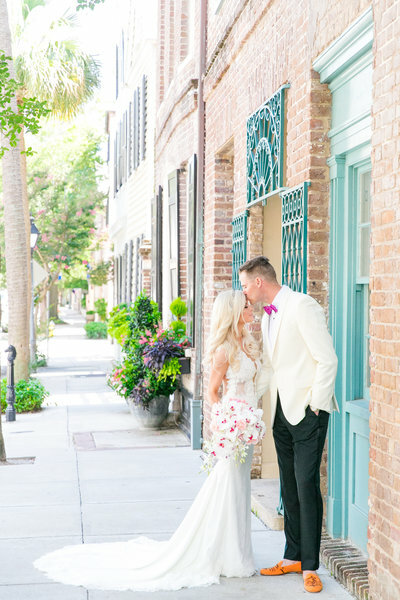 At least here in Charleston, the market is saturated with wedding photographers. Every day there are new photographers entering the market because there really is no barrier to entry. You don’t need any licenses or certifications to say you’re a wedding photographer… so there are literally dozens of newcomers who put up a website, start a Facebook page, and BOOM! They are in “business”. And to see some of these people start offering education shortly after entering the market? Preying on newcomers, like themselves, who are willing to pay anything for some education? That really bothers me. Only 50% of small businesses make it past year 5. So in my opinion, no one should be teaching anyone about business until they’ve surpassed that. Up until then, you haven’t really proven anything as a business owner. Additionally, if you’re not making a sustainable income from your business, you have no business “teaching” others how to run a business. Period. Without a sustainable income, you basically have a part-time job and/or a hobby financed by your significant other. Are they staying busy with their own business? Do they have real clients? Or are they turning to education to make money because they are failing in their own business? What is their reputation within the industry as a professional? Are they sought-after and highly recommended by other successful business owners? What are their accomplishments? Have they been published on any major blogs or in print magazine? Do they speak at conferences? Is this their full-time job? Or is this their part-time job and/or spouse supported hobby? What are their credentials? Do they have any background, education, advanced degrees, or certifications in their field? Are they professional across all platforms? From website to social media? From email communications to reviews? Do you want to model their career path? Do you look up to them professionally? Are they charging appropriately? For their professional services AND for the education they are sharing? Education is an investment. It shouldn’t come easy or cheap. If the person you’re getting the education from is busy with their own work and busy with their own thriving business – which is really what you should be looking for in an educator – you should expect to pay a premium for their expertise and time. Educators who really understand the business side of things will charge accordingly – and that’s who you should be learning from! Rule of thumb – if the education is cheap, you probably aren’t going to learn a lot from them. Throughout my photography journey, I’ve followed and invested in education from a variety of photographers. I asked myself the questions above and chose my educators very carefully. I can honestly say it has paid off big time! My favorite educators throughout my own personal photography journey have been Jasmine Star, Melissa Jill, Katelyn James, Justin + Mary, Trevor Dayley, Amy + Jordan, and Rebecca Yale. I have taken bits and pieces of information from each educator and I’ve applied it to my own business. I feel like I have a very well-rounded education on everything from business, marketing, technical shooting skills, artificial lighting, posing, styling, and everything in between. Every educator has their own individual strengths and areas of expertise. What works for them may not always work for you, so it’s important to figure out what actually does work for you and your business! Just remember that anyone can offer education. Everyone thinks they have something worth sharing with others, but it’s not always true. Ask questions, think critically, and make wise investments in yourself + your business. Seek out education from people you admire, who are experts in their field, and who have the track record to back it up. There are so many people out there who are more than eager to take money from newcomers in the industry… so be on the lookout. Make sure you are making the best decisions for yourself + your business. Your success and your future depends on it.